When you're getting ready for a trip, you want everything to run smoothly and for this reason, you are likely to organise as much as possible in advance so that nothing's left up in the air. 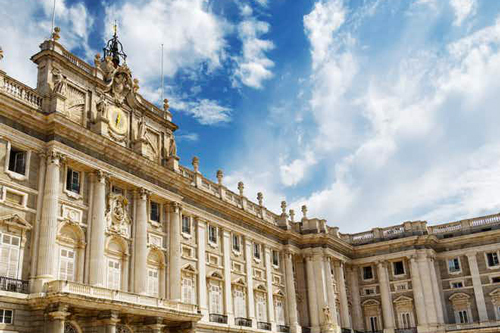 When travelling to a large city like Madrid, it is very important to plan all the details in order to get the very best out of the history, culture and wonderful food that the Spanish capital can offer. Having an idea of how the different means of transport operate, which places you shouldn't miss out on seeing, the city's most important feast days and even what kind of weather you can expect, can all make a difference when it comes to planning your trip. 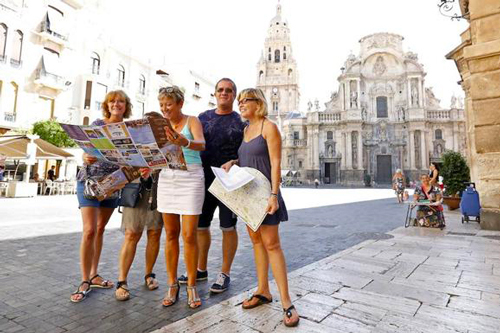 In order to assist you with this, in this article, we have prepared a short summary of the most important points that you should keep in mind so that you can organise your visit in the best possible way. For E.U. citizens who are travelling to Madrid, a national identity card or valid passport will suffice. Spain, in addition to being a signatory of the Schengen Agreement which enables visitors from member countries free movement without any border controls, also has agreements in place with other countries whose citizens may not require a visa. For those visitors who come from countries that are not covered by one or other of these agreements, it will be necessary to obtain a tourist visa prior to your arrival in the country. As with any other large city that you may travel to, it is always recommended that you keep a close eye on your bags or any other personal belongings that you have with you. 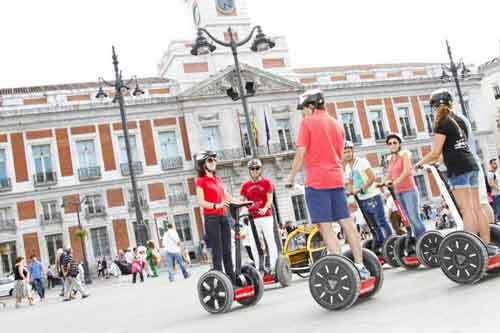 Madrid, being the large city it is, is not exempt from the common problems that arise from welcoming a large number of tourists every year. 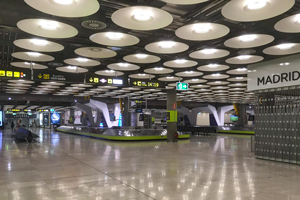 When you are walking along the city's main streets, particularly along the Gran Vía and the area around the Puerta del Sol, it is important to hold on securely to your bags, if possible having them secured around your waist and we would certainly recommend that you avoid using a backpack. The same recommendations apply when using the Metro where the crowds can make tourists more vulnerable to being a potential victim of a robbery. Apart from these standard precautions, Madrid is generally a pretty safe city which has good security in the busiest areas. The official language in the country's capital is Spanish, athough in most places, you shouldn't have a problem making yourself understood in English if you don't have a good command of the language of Cervantes! 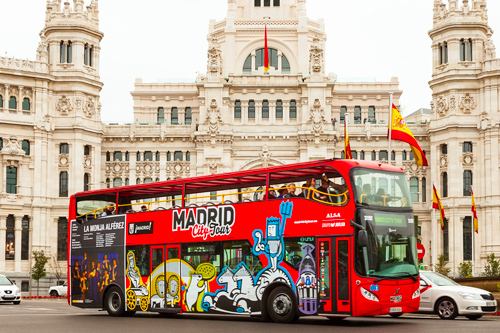 Being the cosmopolitan city it is, Madrid is well prepared for welcoming visitors from all over the world and you should be able to find translations, explanations and people who are happy to help with the language wherever you go. Madrid's climate can mainly be described as dry, without too much rain during the course of the year. Winters are cold and summers are really hot and the city enjoys completely clear skies most days. When it does rain, this is generally during March and April and then again in September and November. The saying goes that in Madrid there are no intermediate seasons because the temperature can reach 20 degrees in spring time and the autumns tend to be reasonably mild until around November when the thermometer can drop quite drastically. Undoubtedly the best times of year in which to visit the city are in the spring and autumn when the climate is gentler and you can also enjoy the colours of the flowers in the parks and the green areas of the city. The months of July and August can be unbearably hot and walking around the city is not always pleasant. When it comes to the winter, in December you can experience temperatures of around zero degrees but, we would still recommend visiting Madrid at this time of year so that you can enjoy the cheerful Christmas lights and the traditional stalls in the Plaza Mayor. 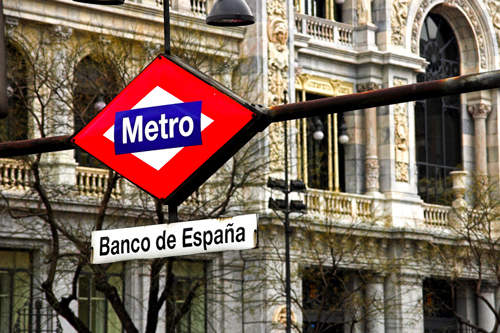 The working hours for businesses and the catering industry are quite flexibile in Madrid, especially in comparison to other large European cities. In general, most of the large stores close around 22:00, particularly the large shopping centres and those shops that are in the city centre. When it comes to smaller shops and areas that are further from the centre, closing time can be between 20:00 and 22:00 and, depending on the location, it may happen that you come across shops that close in the afternoons from 14:00 to 17:00. It is the same situation with restaurants where you can often go in to eat after 3pm and can also eat after 11pm at night. With regard to public transport, the Metro has the same schedule throughout the year running from 06:00 morning to 01:30 at night, the only exceptions being on specific holidays. The buses start running at the same time as the Metro but stop operating around 23:30 hours. However, there is a special night service that is known as the "Búho" (which means owl in Spanish). 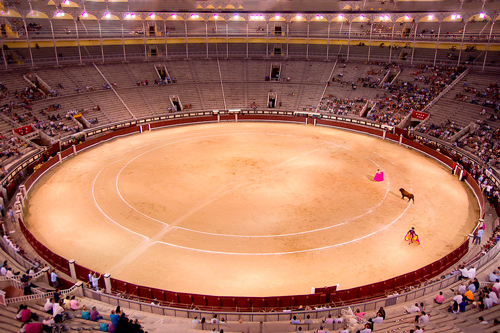 Madrid has its own specific festivals which have their own very individual atmosphere. The feast day celebrating the city's patron saint, San Isidro, is celebrated on the 15th May and is one of the most important celebrations in the Spanish capital. The two principal venues are in Vistillas and the open-air area known as the Pradera de San Isidro. In the former, a famous fair is held where you can find the city's inhabitants dressed in their "chulapos" costumes, dancing the traditional dance of Madrid, the "chotis". In the latter, there is a fair for children with plenty of food stalls where you can enjoy the famous "rosquillas del santo," which are typical ring shaped pastries. In August, there is a series of fiestas that involve dancing, similar to the one in las Vistillas. These are held across some of the most traditional neighbourhoods in the city. Undoubtedly, the most well-known is "la Paloma" which is held in the La Latina neighbourhood. 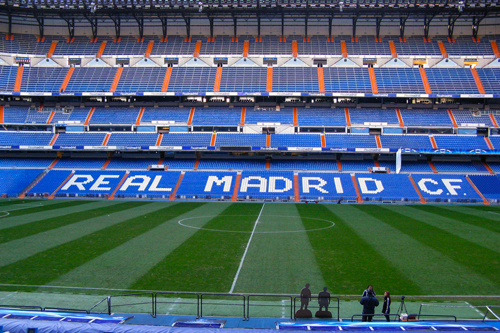 And lastly, one of the other very important days in Madrid's calendar, is the 31st December. New Year's Eve is celebrated in great style in the Spanish capital including taking the grapes that are harvested at the end of the year to the very central point of Puerta del Sol, where people from all over Spain congregate to see in the New Year. 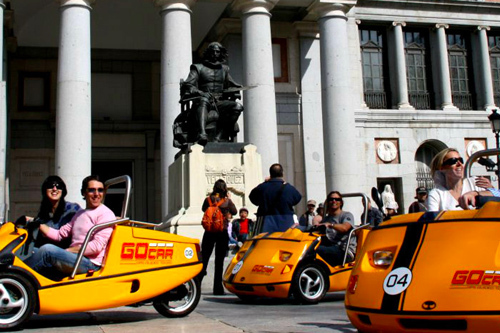 Madrid's main attractions are all quite centrally located in one particular area. The problem is, this area is actually quite extensive so that the distance between one monument and another can be too far to do on foot. What can be helpful is to split up the areas to be visited on separate days. 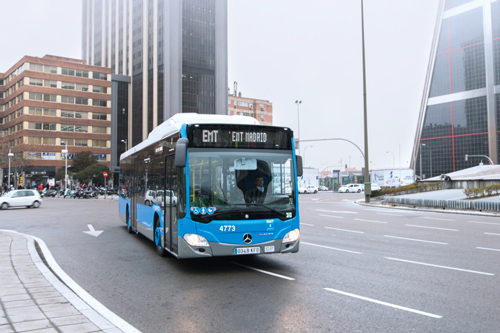 It is worth bearing in mind when trying to get around the capital that there are four main "arteries" on which many of the main attractions are located: the Gran Vía, Calle Alcalá, Calle Mayor and the Paseo del Prado. 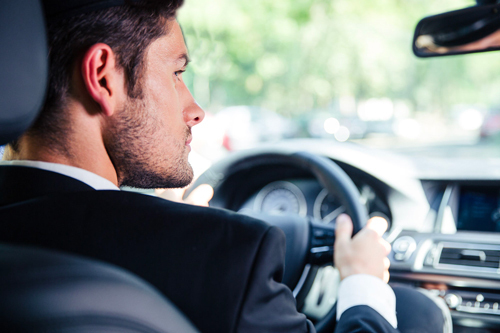 Once you have this information clear in your mind, getting around the city becomes much easier. Another useful tip is to use the Metro stops as a point of reference. A map of the Metro network can be really helpful in finding many of the main places of interest in the city. 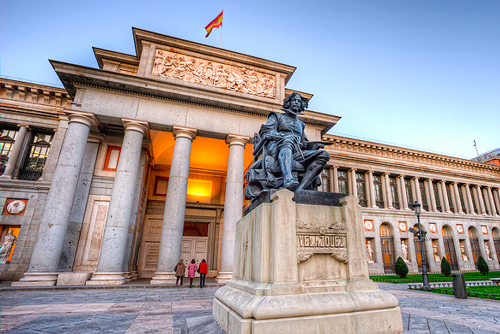 Madrid is divided into 21 districts and although the main tourist areas are situated in the Centro and Retiro districts, you can always find something that is worth seeing in the other areas of the city as well. The San Miguel and San Antón markets. 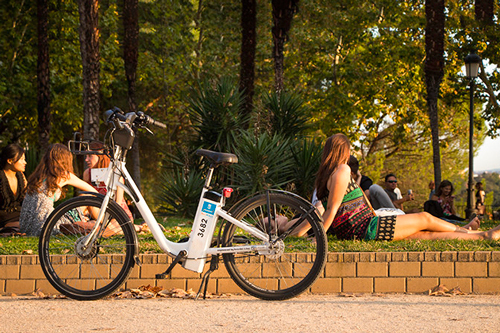 Madrid Río: the city's "green lungs". 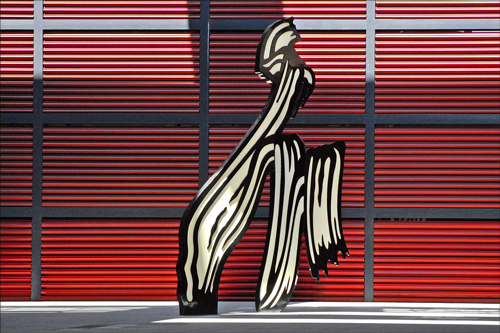 Compare the different private and public means of transport for getting to the centre of Madrid from Barajas Airport..
A Guided Tour with priority access to the Reina Sofía Art Centre..